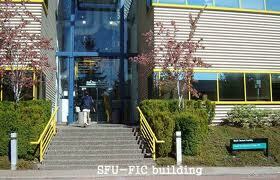 Fraser International College (FIC) is located in Burnaby, British Columbia, Canada and was opened in September 2006.FIC is a private educational business that operates under agreement with Simon Fraser University.Courses at FIC are designed in consultation with faculty and departments at SFU, which allows for an oversight of course material and quality. Applications for International students will be considered at any time before registration, as long as there are seats available in the program selected. Canada - a country widely known for its culture, diversity, and climate. Entering into a foreign last will give you an exposure to the new ideas and different ways of living and learning. It has become an ideal spot for higher education studies. With the help of&nbsp;Canada education consultants in Delhi&nbsp;- one can get hold of the complete guide and procedure to apply and have an abroad experience. &nbsp; Here are few of the tips that will help you make your study abroad experience in Canada the best. &nbsp; # 1: Be prepared for the cold: Canada is known for distinct seasons and temperatures. Make sure you invest in good quality warm clothing. Keep yourself in layers of clothing as the temperature change from inside to outside. In case of any extremities, make sure that you seek medical assistance just to be sure. Prepare yourself beforehand for the colder months as it gets colder. &nbsp; # 2: Stay safe: You will have to follow certain rules and regulations for your own safety, as you would do the same for another country. Even though Canada is a safe country, safety also lies in your hand. Registering with the country&rsquo;s embassy beforehand for all information is a good idea. Keep the contact details of your campus security and all the important phone numbers including your study abroad consultants. # 3: Organize your finances: Make sure you have a full list as to where you are supposed to pay your fees - be it your traveling expenses, or errands or anything. You can easily get the list from the international office at your university or from the study overseas consultants. It will help you surpass the unpleasant surprises. Plan ahead, work on your budget every month and stick to it. Being disciplined in a foreign land will not only make you responsible but will also leave you out of stress and saving money. &nbsp; #4: Accommodation for foreign students: You will find several options when it comes to accommodation. If you are studying in Canada, you can either opt to stay on campus which will provide you with greater benefits, with the benefit of easy access to the University. You can also find homestays which are another great option available with easy on pockets criteria; several students claim that home stays provide them with the feeling of being at home. You can refer to Canada education consultants in Delhi to know on more information of the accommodation availability.&nbsp; &nbsp; # 5: Cut costs: Make sure you are cutting cost in all the expenses. Before you leave for your study abroad experience in Canada, it is important that you maintain adequate funds. Always remember to keep a little extra aside and cut costs as much as possible. Try and get a fair idea of your spending via a relationship manager. Make sure you are keeping a constant track of the exchange rates to get the most value out of the dollar.&rsquo; &nbsp; If you are confused even now, you can go for the detailed educational plan that encourages students to pursue jobs during their Bachelor&rsquo;s or Master&rsquo;s studies. One can stay up in the country after graduation for work opportunities. In Canada, students can combine an enriching academic life with diverse and entertaining leisure activities. &nbsp; For any kind of information in relation to guidance course, university selection, student visa assistance - you can connect to Map my study, study abroad consultants in Delhi who provide trusted study abroad consultants to students. Are you flying thousands of miles away from home? Moving to a new state is one great roller coaster ride. If you are planning on flying far, far away, and it's your first time flying internationally, then this can be an incredible journey altogether. 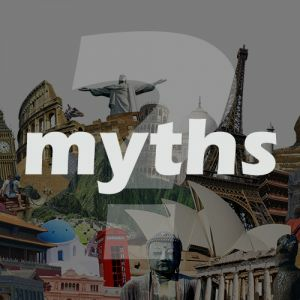 A myth is referred to as a widely believed false idea which naturally pops up in the mind before you plan to study abroad. Here are some of the myths that don&rsquo;t hold true anymore&nbsp;&ndash; Myth # 1: Expensive&nbsp;-&nbsp;Only the Rich ones Can Afford to Study Abroad : Have you caught yourself saying, I want to study abroad, but I can&#39;t afford it? The benefits that international study can bring to one&#39;s career are the best. But like it is perceived, it isn&rsquo;t everyone&rsquo;s cup of tea &ndash; Is it true? Nope. It isn&rsquo;t. Study anywhere &ndash; it is going to be costly. With more and more opportunities and the excitement of people to study abroad &ndash; many of the financial support services are becoming available. 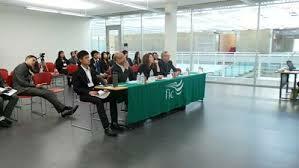 Nowadays, many universities offer scholarships for international students specifically. All you have to do is locate yourself right and choose what you want. You can take help from Study abroad consultants in Delhi who can help you choose and decide the best. Myth # 2:&nbsp;Making friends while studying abroad will be too hard :&nbsp;&nbsp;&nbsp;&nbsp;&nbsp; It all depends on person to person. For some, it is just very easy to make friends &ndash; be it anywhere! For some, it is the daunting and the hardest task. It is troublesome to just walk up to a stranger and introduce. Many universities now host a wide variety of programs and events that are specifically aimed at connecting international students from all around the world. But making friends isn&rsquo;t a hard task, all you need to do is take a stand and speak up &ndash; just so easy to make friends while studying abroad. Myth # 3:&nbsp;Studying abroad is dangerous: Studying Abroad can make you feel a million miles away from home. But there might be certain things that can be perceived to be dangerous. However, in reality, some countries are safer than others, but major safety depends on how they carry themselves. Most universities will have established various different processes to help the international students to feel settled and safe. Shall you need any help to find accommodation or any advice you would need on transportation options or making connections or visa issues &ndash; Abroad consultancy in Delhi is a one-stop solution for all? All you need is a good research, a good university that will help you give all the information you need for a safe, secure and fun experience! For more solution on consultancy, you can take help from Study visa consultants in Delhi. Myth # 4: What about everything I&rsquo;ll miss out on back home?&nbsp;&nbsp;&nbsp;&nbsp;&nbsp;&nbsp;&nbsp;&nbsp;&nbsp;&nbsp;&nbsp; Life will continue even when you are far away studying overseas. But there is no doubt about the fact that you are going to miss your family, an old bunch of friends, cousins. It&rsquo;s just that the overall experience will help you discover and understand more of the culture, trend &ndash; directing your career in an altogether whole new perspective.This experience will also help you create and connect, making connections that would last forever. Are you still stuck on the myths or are you planning to bring in some changes to the pre-conceived thoughts? Study abroad consultants provide you with an opportunity to experience an alternative perspective, different approaches to teaching, developing new ideas and beliefs. The campus is lovely and you always feel safe. Lots on offer at the uni outside of your degree. I studied here and this was my best decision. You will also love the University they have great faculty. 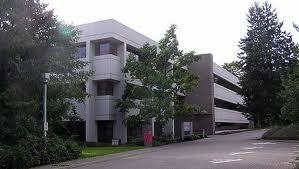 I had very great experience With Fraser International College. They have very nice faculty. I realised this is my best decision and my father helped me this he recommended me this university. The university has so much to offer, it's the perfect campus and provides a home away from home feel! © 2006-2018 mapmystudy.com, All rights reserved.